To schedule Suzuki lessons, please call 860-767-0026 or email us. The Suzuki method is a way of teaching music to students of any age based on the same principles used to teach language to children – listening, imitating and repeating. Shinichi Suzuki applied the basic principles of language acquisition to the learning of music. Suzuki Instruction differs from traditional instruction in that parents are encouraged to be actively involved in their child’s lessons and should be prepared to work with the child at home between lessons. We accept violin, cello, and guitar students as young as 3 or 4 years of age. “Pre-Twinklers,” the youngest students, have a private lesson each week. Once they begin studying in Suzuki Book 1, violin students also have a weekly ensemble class. Parents/caregivers should plan on attending lessons with their child. Private Suzuki Instruction is offered for violin, cello, and guitar for a 17-week semester. *Suzuki guitar students enroll in weekly private lessons as well as the group class where concepts learned in lessons are reinforced alongside their peers. A native of Hungary, Marianna studied music at a specialized Kodaly institute in Budapest. A gifted performer on recorder and flute, she earned the honor to represent her school in an exchange program in Vienna, and was a member of a number of ensembles in both Austria and Hungary. 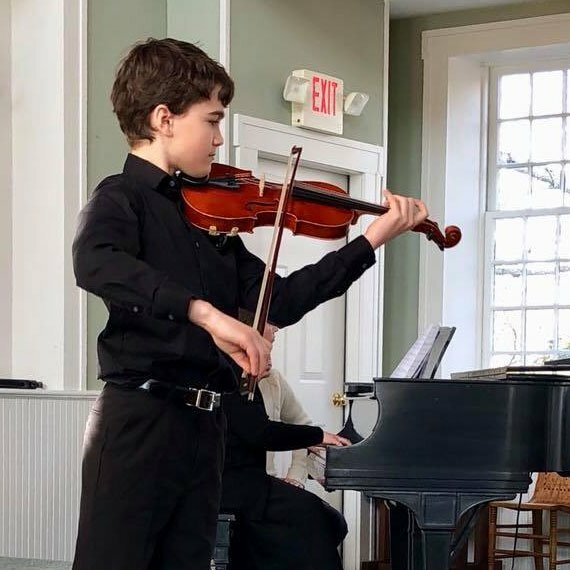 After coming to the United States, Marianna continued her music education at the Bethwood Suzuki School with Connie Sattler on the violin and viola. She also studied Suzuki pedagogy with Michele George at the Hartt School of Music, and received her Suzuki teacher certification. Marianna is a professional member of the Suzuki Association of the Americas. Marianna teaches Monday, Tuesday, and Friday.